You guys….. I am in the makeover mood!! It never fails, after the holidays and entering the winter “lull” makes me a little antsy. I can’t get out to yard sales, I can’t get outside to paint and work on projects so I am stuck in the four walls of our home looking for things I can do during the winter. This winter, I really want to get my office totally finished, paint our family room and give our bedroom a makeover. There are more things I want to get done and during the winter, I feel like I am all over the place. One day, I am all about the office, then I look at our bedroom and thing I need to start there and then I am tackling more organization projects. This is my winter routine every year. Today, I focused on our bedroom. I started researching new headboards because I think the direction I want to go includes a new bed. 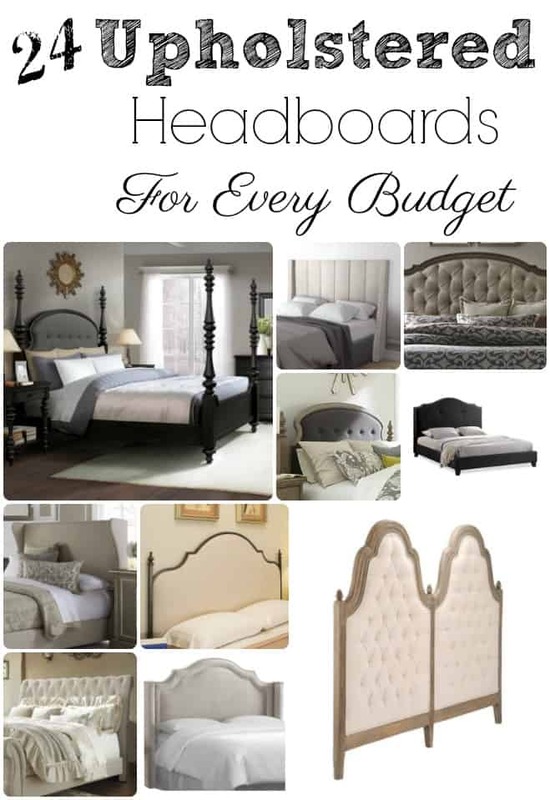 I found 24 upholstered headboards for every budget that I thought would help some of you who are thinking about making over your bedrooms. I love these upholstered headboards for different reasons. I am still on the fence about which direction I will go, but this post has helped me narrow it down. Thinking about all of the projects I want to do seems overwhelming at times, but now that we have the duplex done, we feel like we extra free time! Haha! We always say we are so busy and then when we get something done and off our list, we fill it with something else. In the winter, Matt is always on board for the makeovers because he is always itching to work in the garage when it’s way too cold for him to work out there. I am very lucky that way. I don’t know what I would do if we weren’t on the same page. What makeovers do you want to start in the new year? What is holding you back?